The OcuCheck is a point-of-care device that can quantify specific biomarkers in the tear film that result from micro leaks from the corneal wound after a serious eye trauma or surgical incision. This is the first device of its kind to provide an accurate, objective measurement that can be used to assess the integrity of the corneal surface after surgery or trauma. The device is easy to use and provides immediate results. This device is a game-changer for use in eye clinics and by health personnel. The Ocucheck™ test strip is a specially designed testing strip used to collect the tear sample and isolate molecules present in the fluid. The strip is coated with a hydro-gel that is stable and biologically safe. The Ocucheck™ device is a point-of-care device that can quantify the level of certain molecules present on the test strip. The OcuCheck Device is lightweight, portable, and durable so that it can be used outside of a clinical setting. Ophthalmologists can use the OcuCheck to monitor post-operative patients who have had large corneal or corneoscleral incisions. Evaluation of corneal wound integrity is even more important now as more surgeries for cataracts are performed with clear corneal incisions. The OcuCheck quantitatively measures the severity of the corneal wound by analyzing specific molecules in the tear film that result from microleaks within the corneal wound after surgical closure. Leaking surgical wounds are a common and serious problem and the OcuCheck can help. Now staff can use the OcuCheck to obtain the diagnosis prior to the physician seeing the patient. This will not only diagnose an important problem accurately to prevent it from being missed but will can help provide a head start in the management decision needed to address the problem. What’s the background on glaucoma and surgeries to treat it? Glaucoma affects 2.3 million people over 40 years old. The most common surgical treatment to reduce intraocular pressure (IOP) from uncontrolled glaucoma, that has been unresponsive to medical or laser therapy, is trabeculectomy. Trabeculectomy lowers IOP by creating an incision into the anterior sclera to allow aqueous humor to filter into the sub-tenon’s space and create an encapsulated bleb, which bypasses the major typical drainage system through the trabecular meshwork. Although effective, filtering glaucoma procedures such as trabeculectomies are frequently associated with complications, commonly from a bleb leaking aqueous humor into the tear film, which indicates a direct communication from the internal anterior chamber and the exterior surface of the eye and can occur. Bleb leaks can cause mild inflammation that is localized to the bleb (blebitis) or severe infection that penetrates all orbital tissue (endophthalmitis). How can the OcuCheck help? Current methods for evaluating bleb-leaks include the use of the Seidel test, which is subjective and requires a slit lamp device to visual the wound. The OcuCheck can revolutionize this process by providing a portable, hand-held device to check the integrity of the wound. Now, the diagnosis of even a small leak from a bleb can be detected by the OcuCheck and can change management of post surgical gluacoma patients. Improved diagnosis and early treatment may prevent vision loss from late infection. The OcuCheck can be the first instrument to help standardize post operative management of bleb-associated infections. Emergency Physicians and Emergency Medical Service Personnel: The OcuCheck would benefit emergency department health professionals with the evaluation of ocular injuries. Emegency medicine technicians (EMTs) can use it in the field to obtain an immediate diagnosis to help with triage. Physicians in the hospital can use it to aid in the diagnosis of all eye traumas especially in challenging cases such as a child who may not be able to sit still enough to perform the Seidel test or might not be tall enough to fit in the slit lamp device or in an unconscious patient, who cannot be positioned upright for accurate slit lamp evaluation. Since the OcuCheck is portable and handheld, it provides an objective measurement that can be performed in any patient. Military Medics: The incidence of open globes within military members in wartime situations has increased over 50 % what was expected. The device can be transported to the field and used by military medics to make quick, accurate decisions on the degree of eye injury. Current methods for evaluating corneal wounds or injuries require specific training and access to a Slit Lamp, a large, immobile device that is not typically available outside of the clinical setting. The OcuCheck can be used by staff with all levels of skill. Technicians can use the OcuCheck to evaluate a wound or injury prior to the physician seeing the patient, which will greatly improve the efficiency of ocular care and enable patient to get treatment faster. With ocular traumas, repair is needed within 6 hours of injury for the best vision outcomes. Trauma patients are sometimes unable to sit upright for traditional evaluation. The portability of the OcuCheck allows for assessment, regardless of the patient’s position or level of consciousness. 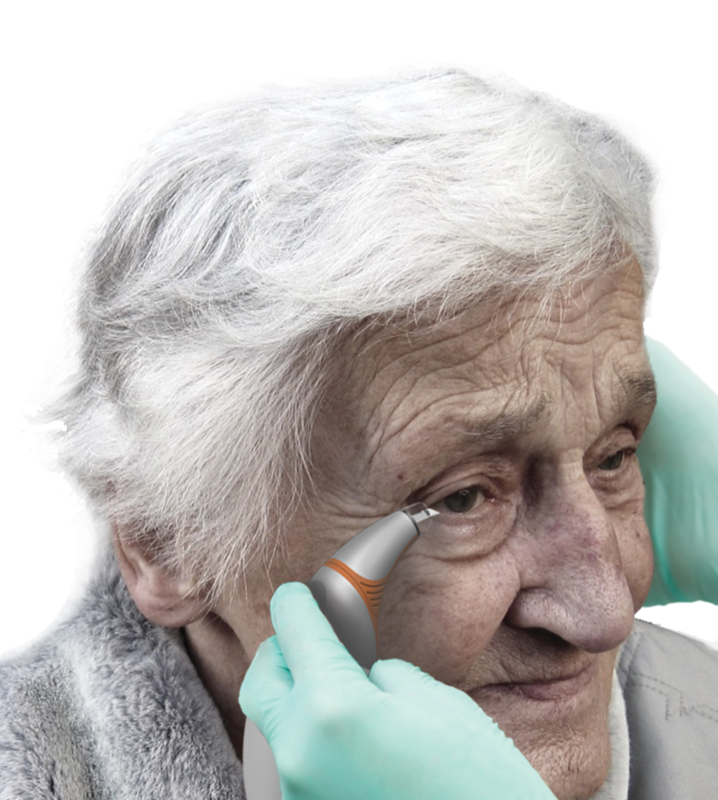 The OcuCheck can be used to monitor post operative patients who have had corneal or corneoscleral incisions. 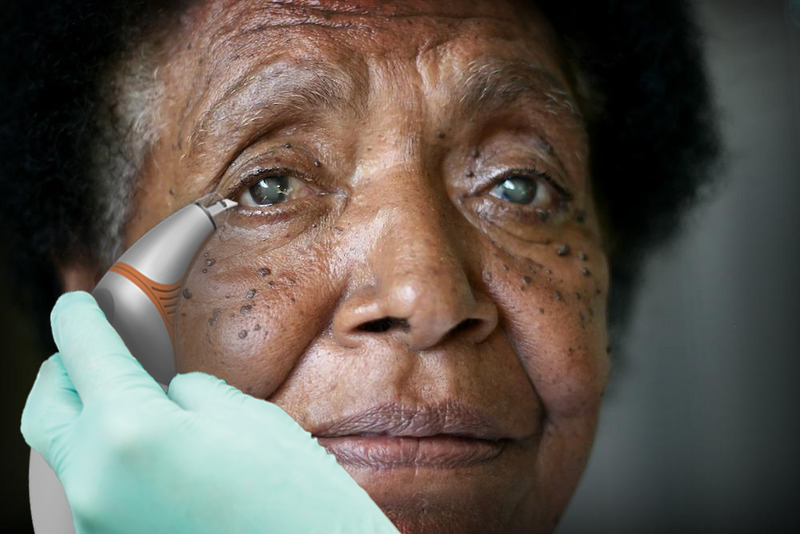 Evaluation is even more important now as more surgeries for cataracts are performed with clear corneal incisions. Leaking surgical wounds are a common and serious problem for infection. The materials used in the manufacturing of all of the products made by InnSight Technology, Inc have been developed under sterile conditions. The OcuCheck test strip is comprised of material that is proprietary. All the fabrication steps follow strict standard operating protocol and under good laboratory practices. Overall biocompatibility of the fabricating materials is well studied previously in the Pan Research Group and others. The electrode design is performed at the Clean Room facility available at the Micro and Nanotechnology Laboratories ISO 1. The enzyme immobilization is performed at the bio-lab at Pan Research Group under strict and a modified GLP- manufacturing process designed for academic labs. The sensor is ultra violet sterilized prior to application.